On 19 April I will catch a train to the south of France, almost to the Spanish border. 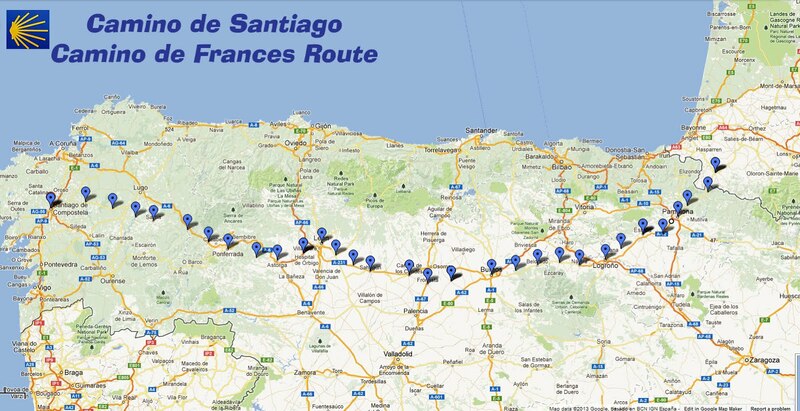 The next day I will start a 500 mile walk to Santiago de Compostela and beyond to the Atlantic ocean. I am expecting that it will take me between four and five weeks. The total is a little over 800 km, 500 miles. In the event I also walked to Muxia and then added the Camino Ingles from Coruna to Santiago. A total of around 1,000 km in 37 days. You can click here to share my journey to the start, at St Pierre de Port, and here for the first day of walking: crossing the Pyrenees.